ParlExperts focuses on efficient project management and quality control as the keys to client satisfaction. We engineer the workflow process for each project to maximize efficiency. This guarantees quality work while keeping on time and on budget. 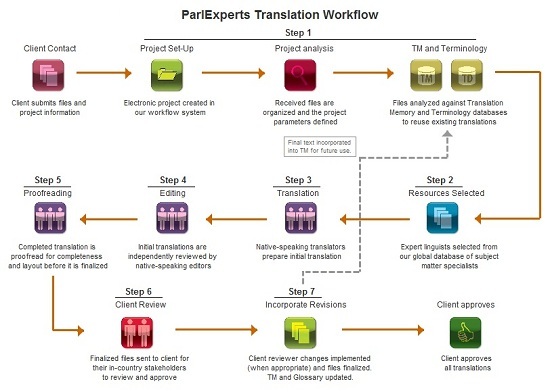 Every translation project goes through our rigorous seven-step workflow and quality-control process. The following sections delve deeper into the factors we think differentiate the ParlExperts approach.